Hi everybody! 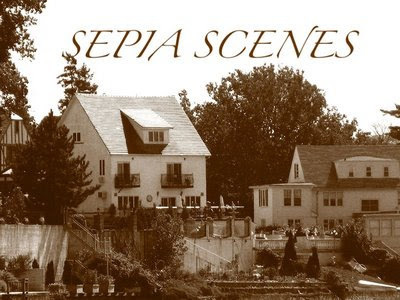 Welcome to Sepia Scenes for this week! I'm sure you recognize these items I found on the shelf in Target. They are nutcrackers! They may not look like the typical nutcracker, the one in the Nutcracker Suite, but these are from that ballet by Tchaikovsky. You have the Mouse King on the left and a Sugar-Plum fairy on the right. The fella in the middle is, well, I don't know. He's not the Nutcracker. And he's not Drosselmeyer, who is the toy maker. He must be a minor character in the stage presentation. How I made the picture above: first I changed the color photo to sepia. Then I colorized the photo by using layers and channels in Adobe Photoshop. Nutcrackers were especially popular with Germans who coined the phrase, “Gott gibt die Nü sse aber knaker mü ss man sie selbst (God gives the nuts but we have to crack them ourselves)”. This story was intended to teach children that life was hard but rewarding. This little verse made it a favorite toy, possibly because it enabled children to reach one of life’s rewards more easily. According to German folklore, they were given as keepsakes to bring good luck to your family and protect your home. The legend says that they represents power and strength and serves like a trusty watch dog guarding your family from evil spirits and danger. A fierce protector, they bare their teeth to the evil spirits and serves as the traditional messenger of good luck and goodwill. Don't forget to sign Mr. Linky (hopefully we'll have no trouble!) and leave a comment. And visit your fellow participants. They love to have you! I also like the sepia w/ the red & green! Nice touch! Another fantastic choice for sepia! I like the bits of color. Oh you mean that ballet by Tchaikovsky... Okay, I'm on board now. Mine's much more prosaic than that this week. The nutcracker, always a big hit! They do look like legendary toys with the treatment! OK, I understand "layers" but not "channels." I guess channels must be something you can do with PhotoShop and NOT with PhotoShop Elements. Am I right? I like the selective colorizing. Nice job. On the shelf at Target! I so miss that store. Love the added touches of color! I love the sepia and the decorations. Very interesting. LOL! Well... I have a nutcracker collection... but I don't think I'll be adding any of those. I'm thinking I prefer the more classical nutcrackers. I do have one that is Father Christmas, and one that is a jester... but most of them are fairly traditional. This is a great photo though -- and I like the effects! I am fascinated with those real colors amid the sepia tones. :0 wish i will be able to learn how to do that. Great little figurines! Love how you have coloured the central figure for extra focus interest! Love what you have done here this week, Mary. Again, that wink of color. Sweet. This looks very pretty!! I would love to try working with layers sometime. 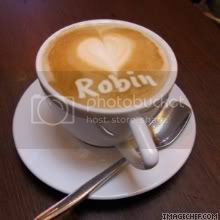 Who knows, maybe one day I will find the courage to try it, it's just not going to be today I'm afraid! I've got so much on my mind I even forgot to link in! I really love the nutcrackers this way, very cool.